A calm veteran police officer was out with his new partner, an aggressive and officious officer. At roll call earlier that morning, the officers were told to disperse crowds of people who were loitering. The officers later drove up a street and observed a small crowd standing on a corner. The people looked at the officer, but no one moved. Confused and somewhat intimidated, the group of people left. 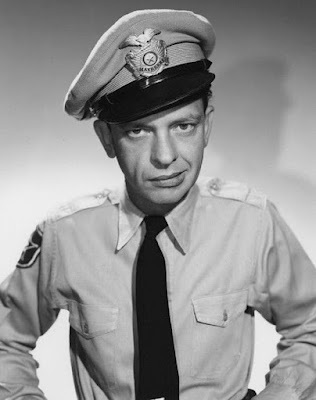 Note: The above photo is of actor Don Knotts as Deputy Barney Fife from The Andy Griffith Show.